The incidence of work-at-home moms and dads is on the rise in the United States. According to Forbes, the number of freelance workers in 2017 was 57.3 million, compared to 53 million back in 2014. In three short years, the number of freelancers increased by 8.1%. What this means is if the current trend continues, by 2027, more than half of all Americans will be working from home. The trend is significant because as more moms and dads commit to working from their house rather than an outside office, there are new challenges they will face. One such challenge will be taking additional actions to stay secure and safe online. Cybercriminals adapt to their digital surroundings. As they are not oblivious to recent work trends, it is likely that freelancers will be targeted more heavily in the future as they conduct their work from home. What does this mean for you, as a work at home mom or dad? And specifically, what exact steps can all freelancers, independent contractors, and self-employed individuals take to remain safe online? Now that you realize you are not immune to cyber attacks, it is time to take action. What are the best antivirus programs available? What are the top VPN services on the web? You must ask yourself these questions and treat it as a part of your overall business infrastructure. Work-at-home moms and dads may scoff at the idea that their tiny operation is a target of hackers, but no one is exempt and you can never be too careful. Therefore, investing your business in cybersecurity is as important as deciding where you will place your home office and what supplies you need to purchase. In fact, it’s even more important. Massive corporations are already investing millions of dollars into cybersecurity alone. Devastating data breaches by such giants as Equifax, Yahoo, Marriott International, Target and Uber have proved no one is beyond the reach of cybercriminals. 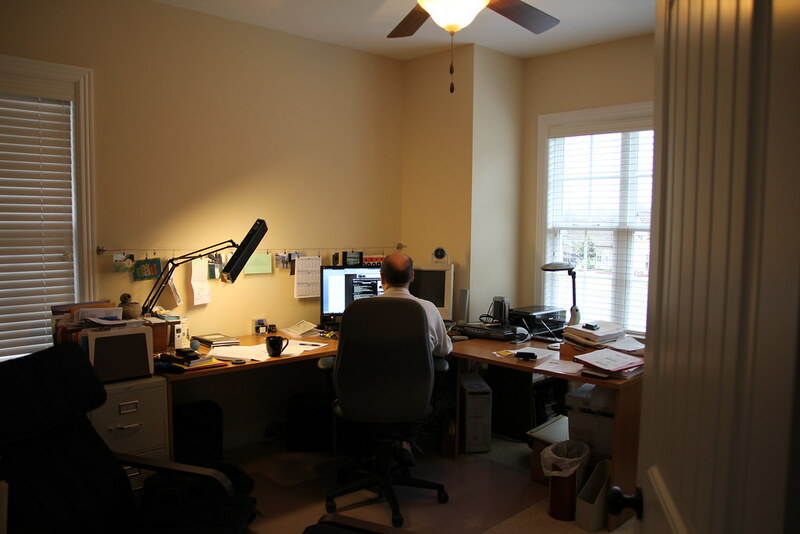 People who work from home usually have a lot of online accounts. Naturally, it is easy to create a single password for every account, or keep it simple so you don’t have to track down the information every time you login. But in reality, this is a bad idea. There is no excuse for having just one universal password for everything anymore. Hackers are simply too smart to not bypass the security measure. Eight characters is not enough, even though you will find that is what most online accounts recommend. Passwords should always contain a mixture of random characters like letters, numbers, and symbols, and you should have those passwords changed on a weekly basis with good password manager software. Though insiders do differ on how frequently they should be changed, a good general practice is between two to six months. Though it may seem like email attachments and links are just a part of your daily norm (and they are to a degree), never tread on them lightly. Email scams, most commonly referred to as phishing attacks, seek to gather information from you by having you click on URLs or attachments provided in an email. So you need to exercise extra caution with any attachment, including ones that were sent from friends, family, or co-workers yet contain infected material. Your computer and antivirus should be able to scan all attachments before you open them. You can also do your part by avoiding ones that look suspicious in the first place. Think about the type of information you are giving hackers an opportunity to access when you visit a banking or shopping website. If that information was to get exposed you would be on the short list for suffering identity theft. As a result, you can practice safe browsing habits by only using devices that belong to you, networks that you trust (avoid public Wi-Fi). You can also consider using a VPN. VPN apps encrypt your data which makes it harder for the bad guys to ascertain your browsing habits. Avoid free VPN apps as some have proven unreliable and don’t actually do what they promise, namely protect your private data from being observed or stolen. Your data is your digital identity. When it gets exposed it is difficult to recover. In the event of an exposure, backups can help restore data to a previous time in case a system needs restarted. A solid backup strategy could help you avoid the extreme hassle of trying to reconstruct days, weeks, or a year of lost data. The bottom line is to do it completely and often. How often? Wrong question. Instead, ask yourself how much day-to-day operational data do you not mind losing? Most of us aren’t fans of doing any work twice much less over an extended period. A solid backup plan is an easy thing to do and could save you major sorrow and headache. Likewise, your antivirus software should get updated as soon as a new version is provided by the developer. Those updates are released for a reasons, usually to help detect and fix new threats. If your antivirus is outdated you’re not fully protected, no matter how much money you spent on the software. A good number of cybersecurity tips are similar to the suggestions you would get on the street dealing with real criminals: exercise caution, avoid suspicious locations, and trust no one. What is freelancing and why you should in 2019?